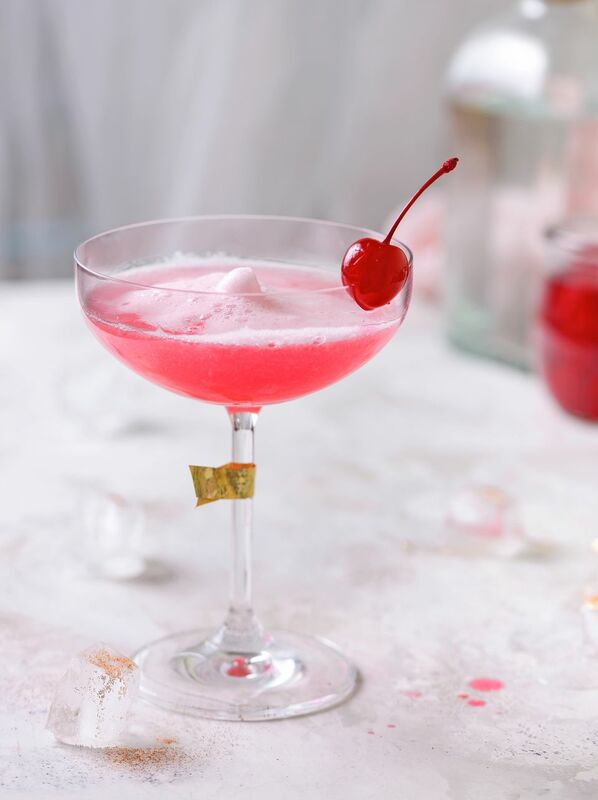 The Pink Lady is a classic cocktail that has a light blush color from by a few dashes of grenadine. It was one of the first "girly drinks" and a favorite of the high society ladies from the 1930s through the 1950s. This cocktail is very enjoyable because it's not too sweet. Unlike many of today's pink cocktails, it has a slight fruity sweetness from the grenadine, but the botanicals of a good gin still shine and provide a nice flavor contrast. The Pink Lady has a much drier, gently tart flavor profile than one might expect from its name. The key to any egg cocktail such is to shake it longer than you would most cocktails to ensure that everything is mixed well. The egg also makes a great foamy top on the pink liquid and creates a spectacular looking cocktail. If you prefer, you can simply skip the egg. Omitting the egg will not greatly impact the flavor of the drink. The Gin: The Pink Lady is the ideal cocktail for a little gin experimentation. It can work well with the traditional London dry gins like Beefeater and Tanqueray and it is equally delightful with any of the new gins. Experiment with the flavor of The Pink Lady by using Hendrick's, Aviation, or any other new gin. The soft profile of the drink will mix well with almost any gin and each will be an entirely new experience, showcasing the specific gin flavors. The Applejack: Applejack is an old-fashioned apple brandy that is making a slow and steady comeback. It was very popular to use in classic cocktails like this and it's worth the effort to seek out a good applejack. How Strong Is the Pink Lady? The Pink Lady may be a pretty little cocktail, but she does pack a punch, yet she is no different than the average classic martini-style cocktail because they're often made primarily of liquor. Assuming an 80-proof gin and applejack and you do opt to include the egg white, you can expect the Pink Lady to weigh in around 25 percent ABV (50 proof).